I don't cook a lot of seitan but when I do, it usually turns out delicious with the right sauces and marinades. It is often used in place of meat because of its texture and chewy taste. Seitan is also becoming more mainstream and can now be found in most refrigerated areas where you buy tofu at grocery stores. I personally like the Upton's Naturals traditional brand because it is non-GMO and has 15 grams of protein per 2 ounce serving. Please note, that consuming seitan is not for anyone who is gluten intolerant or wheat sensitive. 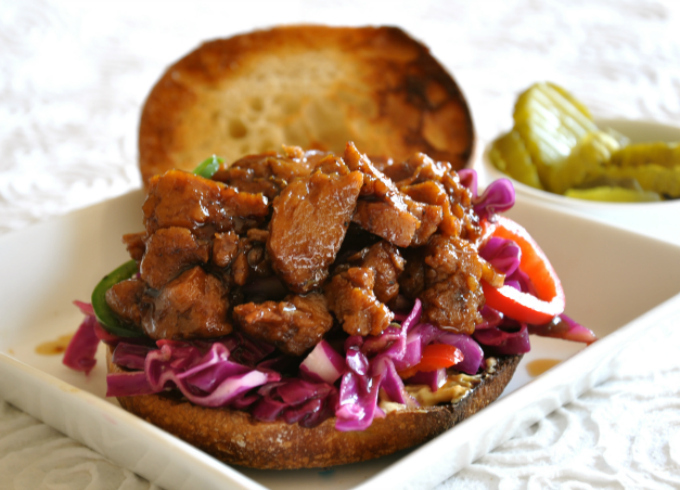 Hope you enjoy this marinated seitan sandwich as much as I did. If you don't want to miss a recipe, sign up for my free once a week newsletter. 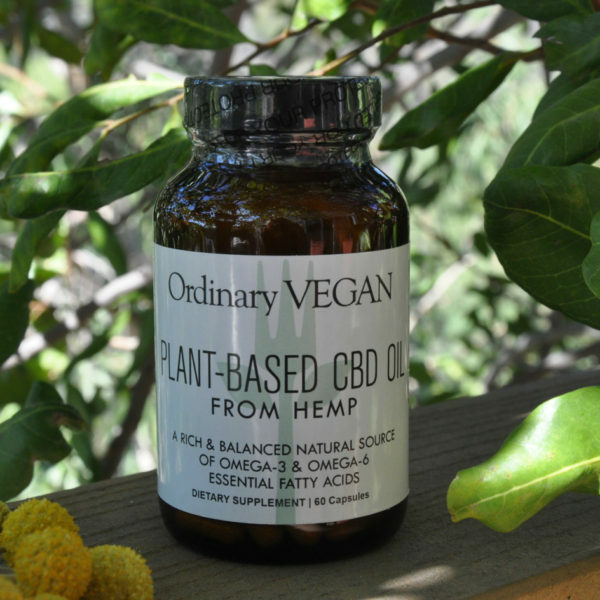 Vegan CBD Oil made from hemp is now available from Ordinary Vegan. 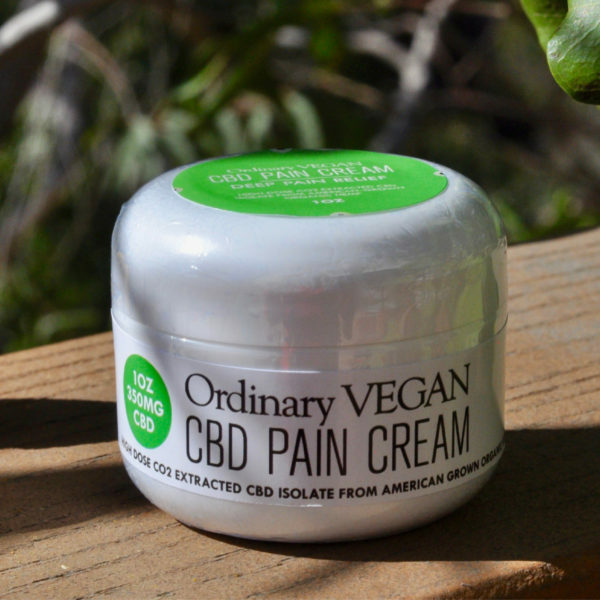 CBD has been shown to promote bone health, quality of sleep, improve mood and overall quality of life. 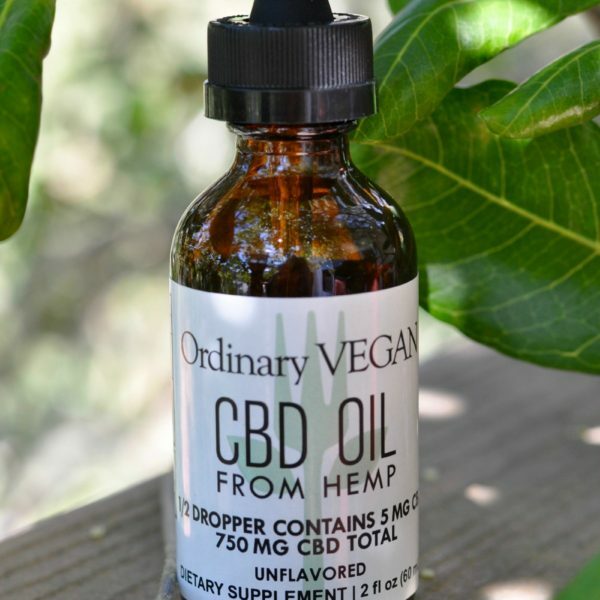 I choose to provide CBD oil because I wanted to make sure you received the safest and most reliable CBD oil on the market. Helping people naturally is what CBD is all about, and I hope it can help you. 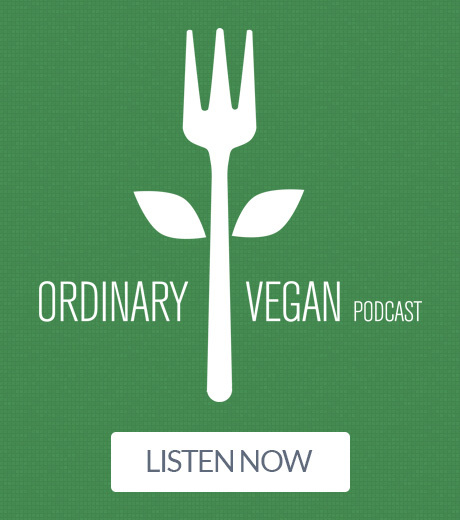 If you have any questions, don't hesitate to reach out to me at questions@ordinaryvegan.net or visit our FAQ page. Wishing you a peaceful and compassionate week. Place the seitan in a glass bowl. Whisk together the soy sauce, brown sugar, garlic cloves, ginger and dijon mustard. Pour over seitan and mix well. Cover and refrigerate for 1 hour, turning once. Whisk together the vinegar, olive oil, garlic cloves, lemon juice, dried oregano, salt and ground black pepper. Set aside. In a large bowl, combine cabbage, red onion and fresno chili. Add half the dressing. Toss. Add salt and ground black pepper. Taste for seasonings and add extra dressing if needed. A little at a time. You don't want to overdress the cabbage. Refrigerate for at least 15 minutes. Heat a non-stick pan over medium heat with a couple of tablespoons of vegetable broth. Remove the seitan from marinade saving the liquid. Place the seitan into the pan and sear for about 3-4 minutes, on until lightly browned. Put in a baking dish. Add the marinade and bake in the oven for an additional 15 minutes. Grill or toast your bread and spread each slice with a grainy mustard. Spoon a large mound of red cabbage on top of the bread. Top with ¼ of the seitan. Spoon some pan juices over the seitan and serve. Learned some new stuff here with this recipe. I made this the other day. It was AMAZING! Can’t wait to have it again and I’ll be sharing the recipe with all my veggie friends. So glad you enjoyed it Anissa and thanks for sharing!